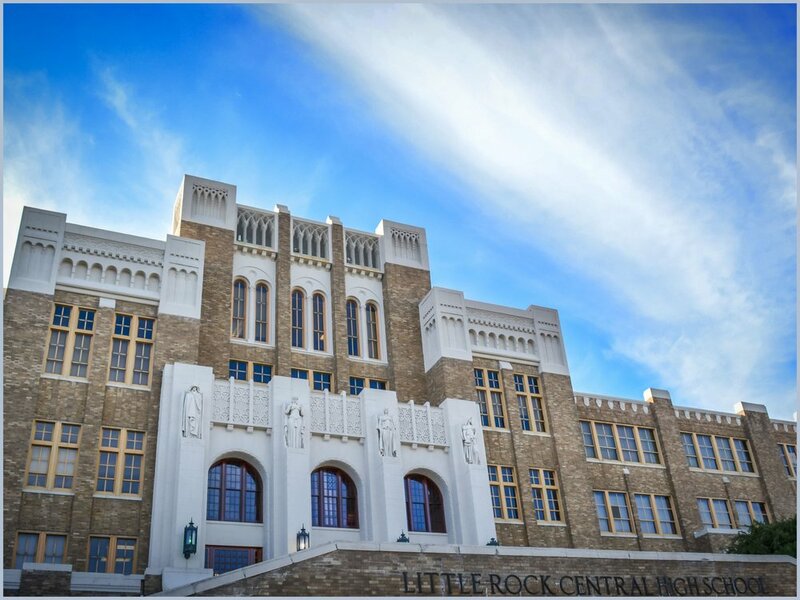 Little Rock Central High School is now a U.S. National Parks Service Historic Site. There is a visitor center that offers insight into the crisis in Little Rock as well as civil rights struggles around the world. The National Park Service offers guided tours of the school and the surrounding area. For more information, click below. A monument honoring the Little Rock Nine on the grounds of the Arkansas State Capitol.